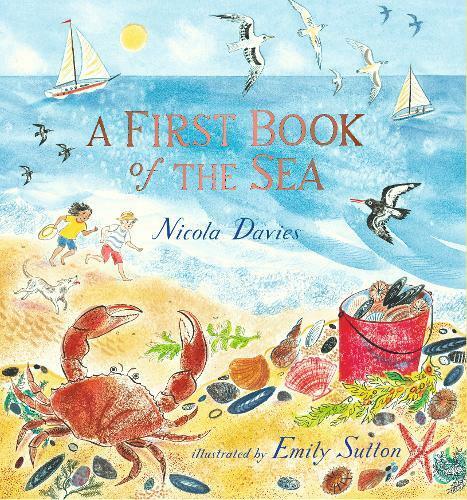 From Nicola Davies and Emily Sutton, the multi award-winning team behind Tiny and Lots, comes a spellbinding collection of poems about the oceans of the world and their shores. With this book, children can swim alongside dolphins and flying fish, pore over rockpools and sail from pole to pole and back, learning about everything from phosphorescence and plankton to manta rays and puffins - all in the comfort of their bedroom. Emily Sutton’s exquisite watercolours capture the breathless excitement of a child’s first glimpse of the sea, the majesty of ancient trading ships and the sheer, staggering wonder of the humpback whale. The perfect companion to international bestsellers A First Book of Nature and A First Book of Animals, this book is sure to enthral and inspire readers of all ages.